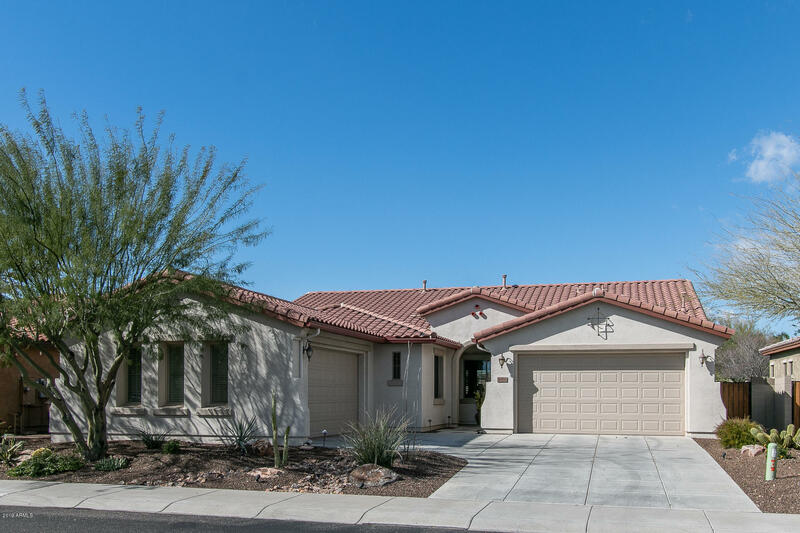 All Vistancia Village homes currently listed for sale in Peoria as of 04/24/2019 are shown below. You can change the search criteria at any time by pressing the 'Change Search' button below. "*Highly sought after 4,824 sq. ft BASEMENT home in Gated Vistancia Village! * This 5 bedroom (with 3 en-suite bathrooms! ), 4.5 bathroom home has charm + space w/ an excellent floor plan * Open eat-in kitchen w/ SS appliances (gas stove! ), large island, pantry, + H20 fountain! 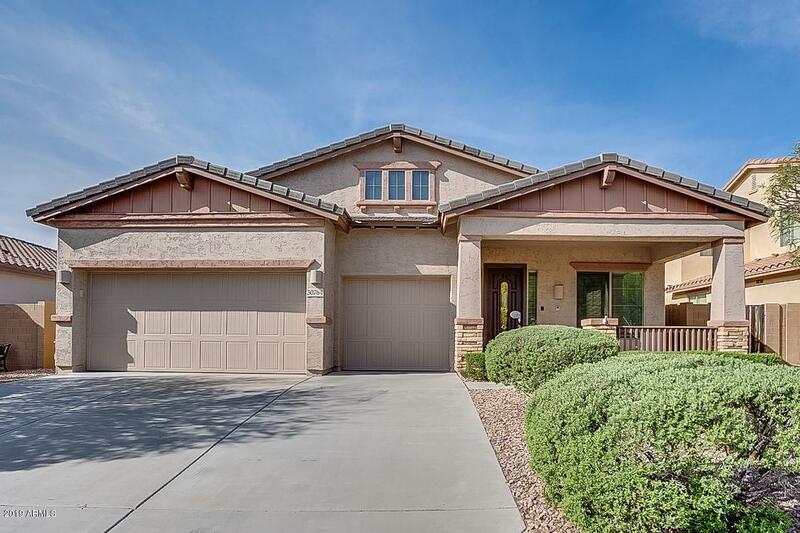 * Kitchen opens to spacious family room w/ wainscoting + modern paneling * Home also has formal living + dining room * The main floor has 3 bedrms w/ a split master floor plan + the finished basement has 2 bedrooms + a full"
"Gorgeous foothills home on an enormous 11k+ SF lot! Upgraded to the hilt & looks like a model home from top to bottom! Front entry leads you into a family room with a soaring ceiling & beautiful staircase. The great room is even more impressive with the perfect living area, a great kitchen and dining space. The kitchen will be your new favorite gathering place, featuring a massive island complete with upgraded appliances, granite counter tops, wood-look tile flooring & white cabinets. Upstairs, "
"Meticulously maintained by original owners, this beautiful home offers 3 bedrooms + den & 3.5 baths in 2636 SqFt with a 4 car garage! The open floor plan offers a large living/family room, formal dining room, eat-in kitchen & split bedrooms. 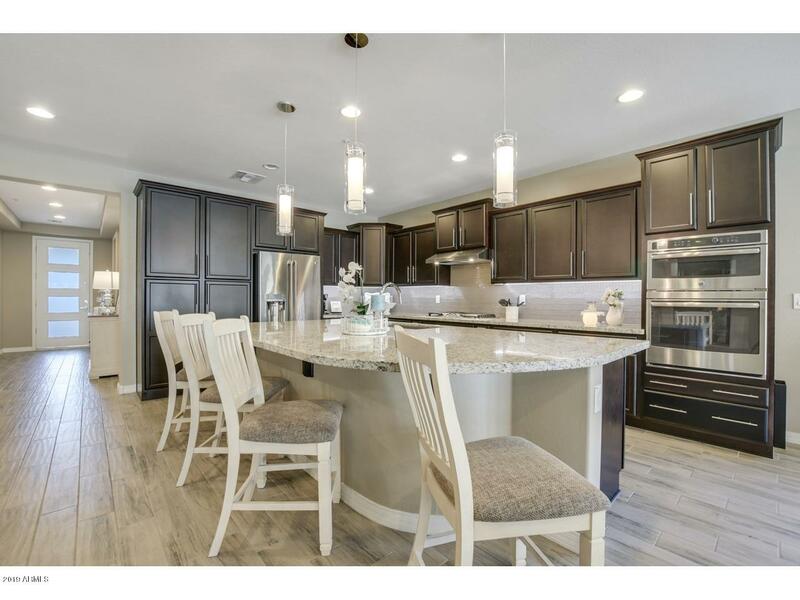 The gourmet kitchen features upgraded white flat panel maple cabinetry with crown molding, Stonenet countertops and backsplash, Kitchen Aid appliances, walk-in pantry, island with breakfast bar & built-in desk. 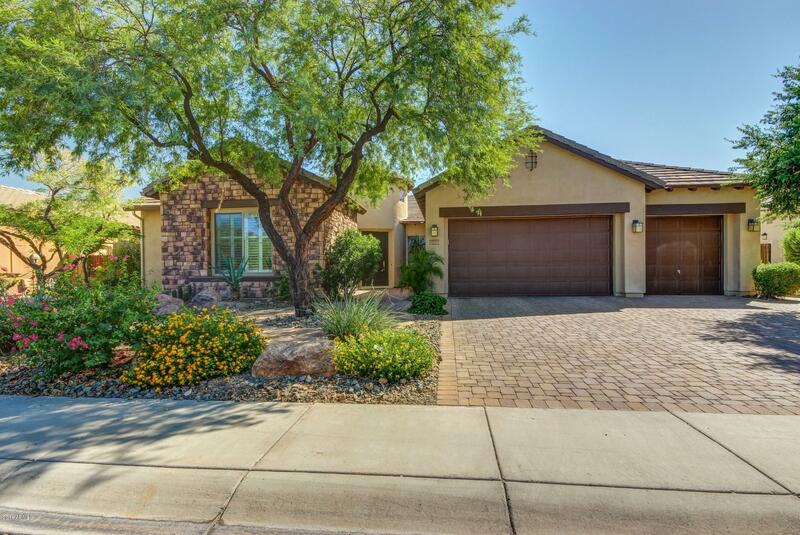 Sliding doors lead out to the covered patio w"
"Gorgeous well-maintained home in a quiet gated community in Vistancia Village. Owner's pride with upgrades that include natural wood & tile flooring, floor to ceiling built in bookshelf in office, granite counter tops, ample kitchen cabinet space & island, recessed lighting, wine closet, cozy fireplace, remote ceiling fans, surround sound in family room & custom wood entertainment built in. Enormous master bedroom & walk in closet. Master bath has separate vanities, walk in shower & garden tub w"
"Better-Than-a-Model! Pristine! 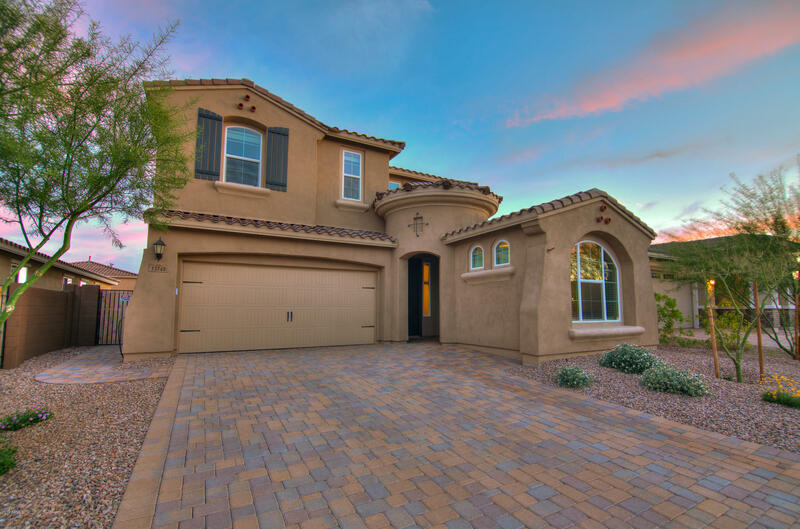 2017-blt light open floor plan w/beautiful quality finishes & stunning backyd. WOOD-LOOK TILE FLOORING thru-out except premium carpet in bedrms, extra-wide baseboards, beautiful window coverings. Gourmet Kitchen -GRANITE SLAB on counters & huge island; full-tile backsplash; stainless GE refrige w/Keurig espresso system. Blt-in GE Profile s/s appls w/5-burner gas cooktop. Staggered espresso-stained maple cabinets w/rollouts & soft- close drawers. Custom pendant lig"
"VIBRANT VISTANCIA HOME NOW ON MARKET! 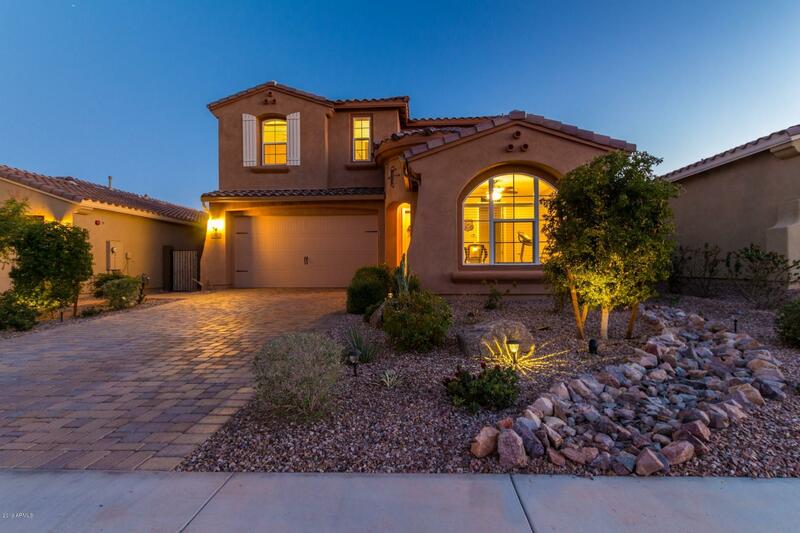 Gorgeous home on highly sought north/south lot surrounded by mountain views, nighttime city lights & open spaces - all in the desirable master planned community of Vistancia Village with its many amenities. NOT age restricted - come one, come all to see this popular floorplan that includes a loft & attached guest quarters with separate entry! 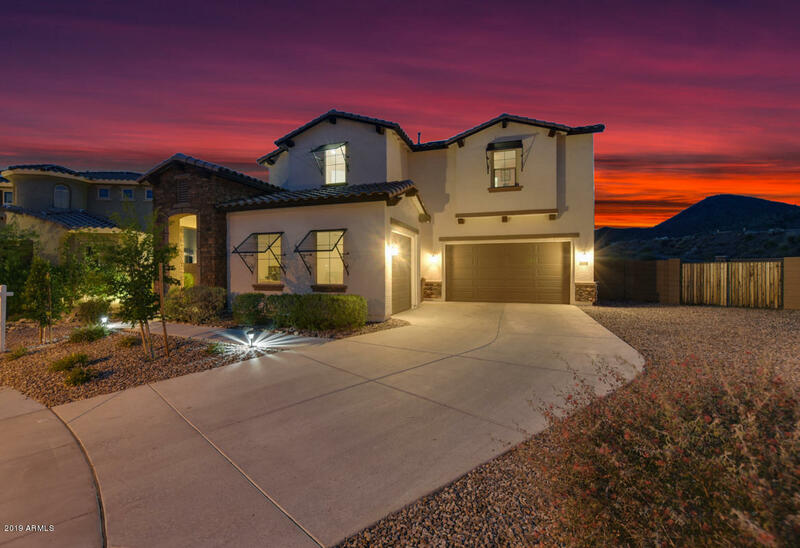 Many valuable builder upgrades were added by the owners, then even more added after; including extended paver drivewa"
"Designer model like home with mountain views in the award winning master plan community of Vistancia! Upgrades include den/office, loft, paver drive, large sliding glass doors and recessed surround sound speakers in family room, gas stove, custom backsplash and pantry door, downstairs office with separate backyard exit, extra large laundry room, blinds on all the windows, custom garage cabinetry, epoxy garage flooring, artificial turf, beautiful low maintenance landscaping and surrounded by one "
"Welcome Home to the Master Planned Community of Vistancia. 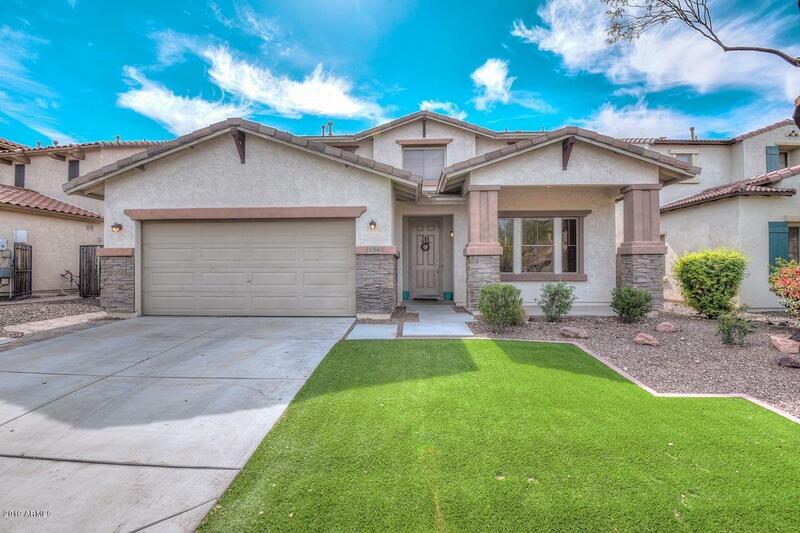 This beautiful Shea home features an open floorplan with 5 bedrooms, 3 full baths, den/office and a pool! The gourmet kitchen features extended cabinets, stonite countertops, large island, walk in pantry and full stainless steel appliance package. The large master bedroom has a large walk in closet. The master bathroom has dual sinks with separate tub and shower. The laundry room includes both washer and dry with upper cabinets for stor"
"Come see 4 bedroom/ 2 bath, single story home in Vistancia Village that offers a fresh, updated look throughout. The kitchen has ample counter space with an island, black appliances with a gas range, and looks into the living and dining room. The master boasts an attached ensuite with dual vanity, separate shower and tub, and large walk-in closet. In the backyard, the covered patio opens to a low maintenance space perfect for entertaining friends and family. 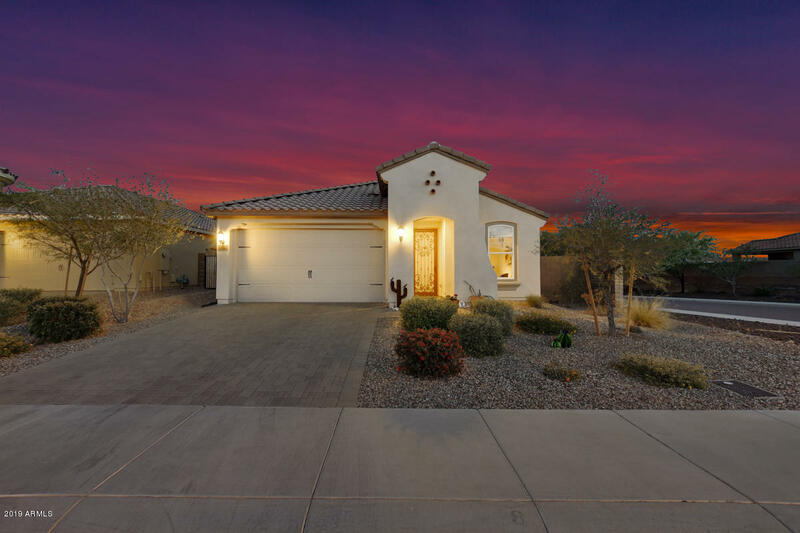 Close to shipping, dining, and the hi"
"This charming 3 bedroom PLUS Den, 2 bath home sits on a corner lot which provides the perfect amount of privacy! Upon entering the home, you will be greeted by the perfect sitting room or office space right off the front door! The tiled hallway leads you to the spacious kitchen that features a gas cooktop and built-in microwave and oven. The perfectly sized bedrooms can be accessed by a hallway off the kitchen. The master is spacious & connects to the Master bathroom with double sinks, a walk in"
"LOOK NO FURTHER! This home is ideal for your family. 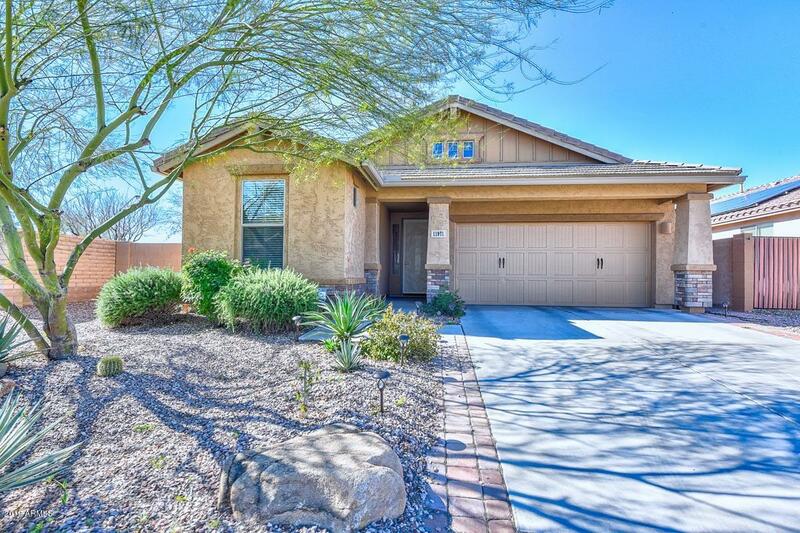 The meticulously maintained home has 4 bedrooms and 2 baths. 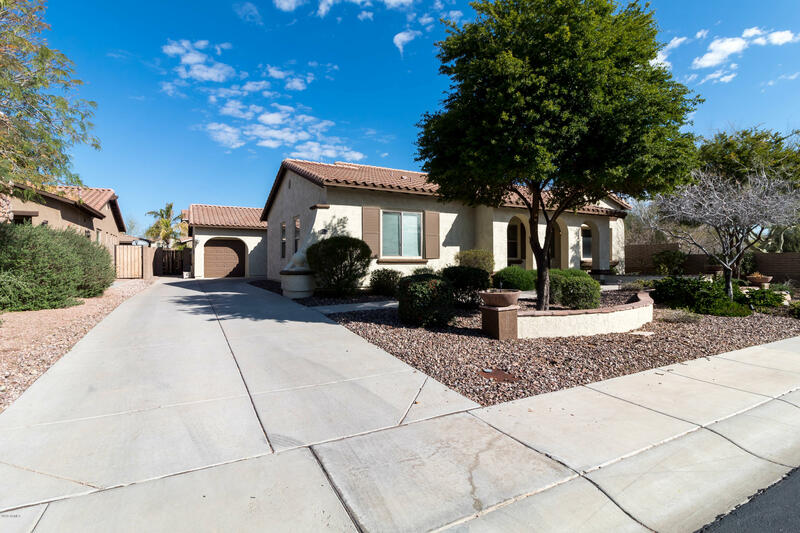 Large open family room with an eat in kitchen, granite counter tops open to a green lush backyard with a high end cook center for entertaining. Master Bedroom has a private entrance to the backyard along with large master bath that offers walk in closet. The fourth bedroom provides privacy from the rest of the home."